Members of the Brick Monkey Theater Ensemble have written plays for, performed on, and designed productions at Tony Award-winning stages such as Cincinnati Playhouse in the Park,The McCarter Theater Center, The Alliance Theater and Victory Gardens Theater, as well as on Broadway, Off-Broadway and at major regional theaters such as Cleveland Playhouse, Manhattan Class Company, Ensemble Studio Theater, Geva Theater, Indiana Repertory Theater, Orlando Shakespeare Festival, The Director’s Company, The Shakespeare Theatre of New Jersey and many, many more. BMTE members have written for HBO and ABC and been featured in films such as Woody Allen’s Radio Days and television shows including the Emmy award-winning Law and Order, Murphy Brown and E.R., as well as Judging Amy, Ed, and Chappelle’s Show among others. MERRI BIECHLER, Managing Director of BMTE, is a playwright whose plays include Confessions of a Reluctant Caregiver (Jane Chambers Student Playwriting Award, Kendeda Graduate Playwriting Competition finalist, Princess Grace Award finalist, WordBRIDGE Playwrights Laboratory participant, and the recipient of over $30,000 in grants to use the play as a teaching tool for medical students); Real Girls Can’t Win! (nominated by the Tony Award-winning Victory Gardens Theater for the Stavis Playwriting Award; workshopped at VG, and Centenary Stage Company); Dolley Madison and the Secret History Club (Kennedy Center/White House Historical Association commission); Bombs, Babes and Bingo (Clubbed Thumb Biennial Commission finalist, P73 Playwriting Fellowship finalist); The Bathtub Play (Jane Chambers Student Playwriting Award); and Brace for Impact (Cleveland Public Theatre). As a professional actor, Merri studied acting with Sanford Meisner at the Neighborhood Playhouse in NYC and at his home on the island of Bequia, West Indies. She was a founding member the Edge Theater with fellow North Carolina School of the Arts classmates Peter Hedges, Mary-Louise Parker and Joe Mantello, and acted in more than a dozen new plays with the company. She appeared Off-Broadway inTony ‘n Tina’s Wedding, has been seen in the films He Said, She Said,Man of the Year and The Thing Called Love, and in guest starring parts on TV in E.R., Judging Amy, Murphy Brown and Love and War. She worked at ABC Television for three years writing scripts and treatments for its Movie-of-the-Week division. Merri is a member of the Writers Guild of America, Actors Equity Association, Screen Actors Guild, and a member of the once glorious, and now defunct, Circle Rep Lab. DENNIS LEE DELANEY is a veteran of the regional theater circuit, having directed more than 100 productions – both professional and in university training programs – over the past few decades. Representative regional credits include A Midsummer Night’s Dream (Philadelphia Shakespeare Festival), Much Ado About Nothing, Julius Caesar, Romeo and Juliet and Love’s Labour’s Lost (Orlando Shakespeare Theater); Julius Caesar (Shakespeare Theater of New Jersey); The Ride Down Mt. Morgan and Side Man (Stamford Theater Works); Arms and the Man (Pennsylvania Shakespeare Festival); The Foreigner(Virginia Stage); The Heiress, The Cocktail Hour, The Dining Room, Stinkin’ Rich and Noises Off (Two River Theatre); Inherit the Wind, Sylvia and Over the Tavern (Capital Repertory Theater); I Hate Hamlet and Inspecting Carol (Delaware Theater); The Uneasy Chair (Ensemble Theater, Santa Barbara);King o’ the Moon and Scotland Road (Seven Angels Theater); and many others. New York credits include the original New York workshop production of the Obie-winning one-man show, Another American: Asking and Telling. Dennis is a Phi Beta Kappa graduate of Marietta College, earned his MFA in Directing from Rutgers University/Mason Gross School of the Arts, where he studied with William Esper and Harold Scott. Currently he is Head of the Professional Director’s Training Program at Ohio University, where he has directed The Cider House Rules, Pt. 1, Twelfth Night, The Comedy of Errors, Betty’s Summer Vacation, The Hostage, Holiday and the world premiere of John Ray Sheline’s Fullest Vigour. 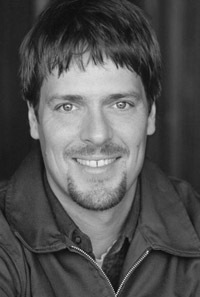 Dennis is a proud member of SDC (Stage Directors and Choreographers Society), and is married to actress Shelley Delaney. 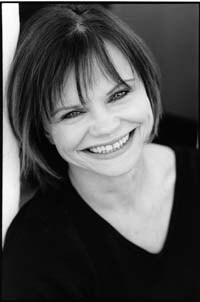 SHELLEY DELANEY, Head of the Professional Actor’s Training Program at Ohio University, has been teaching acting at the Ohio University School of Theater since September of 2002. Her professional acting credits are varied and extensive. In 2004, she was nominated for Chicago’s Joseph Jefferson award as ‘Best Supporting Actress’ for her work in the world premiere of Free Man of Color, by Charles Smith. As a New York based actress she has premiered work at New York Shakespeare Festival’s Plays in Process, La Mama, Ensemble Studio Theatre, Circle Rep Lab, The American Living Room Festival Directors Series at HERE, the Ice Factory at The Ohio Theater, The Women in Theater Festival, St. Marks Poetry Project, and many others. As both an actor and a director, she is a member of The Drilling Company, a company commissioning and producing evenings of new works on a theme. 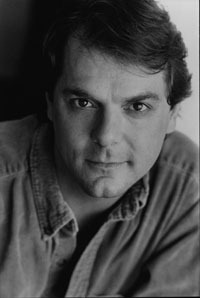 Regional Theater acting credits include work at the Cincinnati Playhouse in the Park, McCarter Theatre, Bay Street Theatre, Victory Gardens, GeVa, Cleveland Playhouse, Capital Repertory Theatre, Delaware Theatre Company, Virginia Stage Company, Pennsylvania Stage, and Dorset Theatre Festival, in plays ranging from Shakespeare and Shaw to contemporary world premieres. In addition to directingReckless, The Laramie Project and Top Girls at OU, she has directed two full length plays and numerous one act plays at the 78th Street Theater Lab in New York City. She directed An Evening With Burton and Russell for the 2002 New York International Fringe Festival and the production went on to performances at PSNBC at HERE, The HBO/Aspen Comedy Festival, The Directors Company and Chashama. Other directing credits include Solo Arts, Henlopen Theater Company and Centenary Stage. As an actress, her film work includes principal work in Woody Allen’s Radio Days, and several independent films including Hero Tomorrow, currently in festival competition. BRIAN EVANS, a member of the Performance Faculty at Ohio University, has worked professionally as an actor in film, television, radio and theatre. On stage he has performed at theaters across the nation including South Coast Repertory, Porthouse Theatre, and the Colorado, Illinois, and California Shakespeare Festivals. In Los Angeles, Brian was the Co-Artistic Director of the award-winning company Wildebeest Theatre. Independent film credits include Urban Pill, Play Yourself, and Mildred. On television, Brian appeared onJudging Amy, and Chappelle’s Show. His work in voice-over includes commercials and books on tape, including The Virginian. Directing credits include Romeo and Juliet and Shakespeare’s Fight Scenes for the Oxford Shakespeare Festival, and premieres of the plays May 4th, 1990, and Pass the Cranberries in Los Angeles. Brian is a certified Associate Teacher of Fitzmaurice Voicework. He taught acting, voice and speech at the University of Mississippi’s Department of Theatre Arts and has taught privately in Los Angeles. Brian received his MFA in Acting from the University of California, Irvine. JANICE PAXSON EVANS recently moved to Athens from Mississippi, where she performed the roles of Titania in A Midsummer Night’s Dream and Ruth in Pirates of Penzance for the Oxford Shakespeare Festival. In Los Angeles, favorite roles include Rose/Sheila in Elephant Stageworks’ production of 7 Redneck Cheerleaders, Nessa in Goodbye Freddie at the Hollywood Actors Theatre and Gertrude in Fortinbras at the Stella Adler Theatre. Janice played Chick Boyle in Crimes of the Heart at the Barn theatre in Michigan, and Mommy in The American Dream in San Jose, California. Independent film credits include Urban Pill and Bad Audition. Janice is very happy to be part of Brick Monkey Theater Ensemble. LEDGER FREE is the Front of House Manager for the College of Fine Arts at Ohio University. After living abroad for nine years he moved to New York City where he studied acting with master teacher William Esper. Ledger worked professionally as an actor on the New York stage for twelve years appearing in a variety of Off- and Off-off Broadway productions. Some of the venues where he has performed are the Manhattan Ensemble Theater, The Abington Theater, and the American Theater for Actors. He is also a founding member of PUSH Productions whose plays appear regularly in the New York City Fringe Festival. 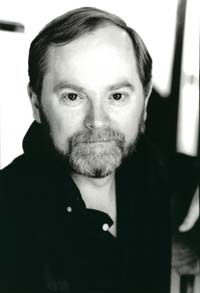 DAVID HAUGEN, a member of the Performance Faculty at Ohio University, has taught Meisner Technique, Michael Chekhov Technique, Cold Reading, Dialects and Shakespeare at a number of acting studios in New York City and Los Angeles, eventually establishing his own studio in LA. He has studied with master teachers William Esper, Maggie Flanigan, Sonia Moore and the character actor, Albert Salmi. As an actor, David has worked in film (Vision Quest; The Curious Profession of Jonathan Hoag), television (Law & Order, Law & Order SVU, Ed,) and off-Broadway in Romeo & Juliet. He has worked extensively around the country with such theaters as: Cincinnati Playhouse in the Park, Repertory Theater of St. Louis, Great Lakes Theatre Festival, New Jersey and Orlando Shakespeare Festivals, The Dorset Theatre Company and The Peterborough Players. 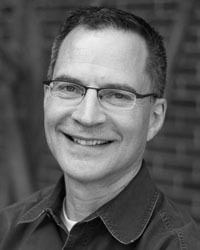 MICHAEL LINCOLN, Associate Professor of Lighting Design at Ohio University: Michael’s professional career numbers well over 200 productions in theatre, opera and dance. He has designed on Broadway, Off-Broadway, regionally and internationally for more than 25 years. Highlights: the Broadway and national tours of Copenhagen, the Playwrights Horizons production of The Bubbly Black Girl… and the Cleveland Playhouse production of A Streetcar Named Desire, (selected to be part of the U.S. exhibit at the 2007 Prague Quadrennial). Michael’s extensive regional credits include long associations with Indiana Repertory Theatre, Alley Theatre and the Studio Theatre in Washington, DC. He has consulted on renovations for both Indiana Rep and Studio, where he designed lighting systems for two new theatres and all support spaces in the three building complex. Selected other companies: Bay Street, Ford’s Theatre, Geffen Playhouse, George Street, Goodspeed Musicals, Hartford Stage, Long Wharf, Paper Mill Playhouse, Utah Shakespearean Festival, and the Venice Biennale. Michael had multi-year associations with Los Angeles Ballet, Tulsa Ballet and Santa Fe Opera, as well as designs for many regional opera companies. His multiple Broadway credits as an Associate Designer include hit revivals of Guys and Dolls and Anything Goes and original productions of City of Angels, Six Degrees of Separation and Lend Me a Tenor. Michael taught for fourteen years at New York University’s Tisch School of the Arts and at the University of Southern California. Awards: L.A. Drama Critics’ Circle, Drama Logue, Corbin Patrick and USITT Ezekial, Phi Beta Kappa. On the web, visit www.michaellincoln.net for portfolio and resume. EMILY PRINCE is the Development Director for Stuart’s Opera House in Nelsonville Ohio. Previously she was the Director of ARTS/West: Athens Community Gateway to the Arts, a performing arts facility with in the City of Athens’ Arts, Parks and Recreation Department. 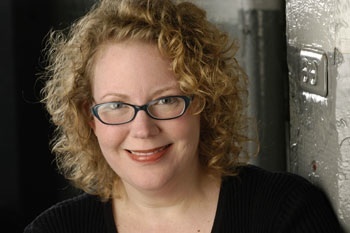 Emily Prince’s professional theater career started as she served as stage manager for The Harold Prince Musical Theatre Program. She worked her way up to Associate Artistic Director of The Directors Company, while in New York she worked as a producer, stage manager, actor, director, casting director, literary manager, and dramaturge. She has worked for The Lark Theater, The National Arts Club, Kesselring Committee Award in Playwriting, and the Harold Prince Musical Theater Program. She graduated in the inaugural class of Leadership Athens County and served as Co-Chair of the Leadership Athens County Alumni Network for two years. She also serves on the Ohio Citizens for the Arts board, Factory Street Dance Studio and Moving Parts Board, The Athens County Convention and Visitors Bureau, is a member of the Brick Monkey Theater Ensemble, and served on the Athens County Comprehensive Plan: Heritage, Arts, and Culture Task force, the Athens Community Television board, The Quilt Barn Committee, and the Athens Municipal Arts Commission. 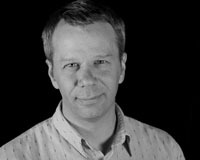 ERIK RAMSEY is an Associate Professor of Playwriting in the MFA Playwriting Program at Ohio University and also Head of the BFA Writing for Performance Program. His plays have been produced around the country, and Samuel French and Dramatic Publishing have published several of his works. His recent play, LIONS LOST has been developed at numerous regional theaters including Cleveland Public Theatre, American Stage, Victory Gardens, and Pittsburgh Irish and Classical Theatre. Currently, he is writing a trilogy of historical dramas about the surprising turn of events that boosted Joseph Smith from life as a small time con-artist to Prophet of the Mormon Church; the first in the series, titled SMITH UNEARTHED, has been developed at the International Society of Contemporary Literature and Theatre Conference (Estonia: 2007), the Gwen Frostic National Reading Series at Western Michigan University (2008), Brick Monkey Theater Ensemble (2009) and Pittsburgh Irish and Classical Theater (2011). His two textbooks, The Art of Theatre: Then and Now and The Art of Theatre: A Concise Introduction are are in use at over 100 colleges and universities nationwide (third edition, 2013). In 2007, Erik was named a Kennedy Center Faculty Fellow for his work as a new play development specialist; in 2010, he was appointed as Director of Innovation for WordBRIDGE Playwrights’ Laboratory after many years of new play development research; and since 1998 he has been a developmental dramaturg in a variety of professional contexts (labs/theaters), most recently at Steppenwolf in Chicago (2013). Over the past decade he has been a guest artist and taught master classes in playwriting, new play development and narrative theory in a variety of national and international venues, most recently at the University of Tulsa (2013), the St. Petersburg Academy of Dramatic Arts “New American Dramaturgy” Conference (St. Petersburg, Russia: 2011), and Lubimovka Playwrights Laboratory at Teatr.doc in Moscow, Russia in 2010. Erik chronicles research on the science of narrative at plotwrench.org. KATHERINE SCHOLL is originally from the Philadelphia area. After graduating from the University of Pittsburgh with degrees in Journalism and Theatre Arts, Katherine attended Ohio University’s Professional Actor Training Program. Upon graduating from the MFA program at Ohio University, she moved to New York and resided there for almost ten years. While living in New York, Katherine was teaching artist for Theatre For A New Audience which brings Shakespeare into the public schools, as well as an acting teacher for the New York Film Academy for several years. Katherine has performed regionally at the Cincinnati Playhouse in the Park, Repertory Theatre of St. Louis, Three River’s Shakespeare Festival and Unseam’d Shakespeare Company. Some New York Credits include: The Director’s Company, NY Theatre Alliance, Miranda Theater, and Blue Heron Arts Center. CHARLES SMITH is Head of the MFA Playwriting Program at Ohio University and playwright in residence at the Tony Award-winning Victory Gardens Theater in Chicago. 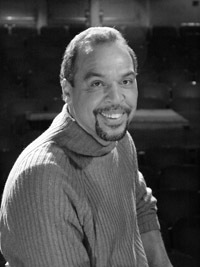 His plays have been produced off-Broadway and around the country by theaters such as Victory Gardens, The Acting Company, Indiana Repertory Theatre, People’s Light & Theatre Company, The Goodman Theatre, Penumbra, St. Louis Black Rep, New Federal Theatre, Seattle Repertory Theatre, and Berkeley Repertory Theater. His work has also been produced for the HBO New Writers Project, the International Children’s Theater Festival in Seattle, and the North Carolina Black Arts Festival. His playPudd’nhead Wilson enjoyed a twenty-two city national tour and his plays Takunda and City of Gold enjoyed tours of the west coast. His other plays include Knock Me a Kiss, Freefall, Les Trois Dumas, The Sutherland, Sister Carrie, Black Star Line, Jelly Belly, Young Richard,and Cane. 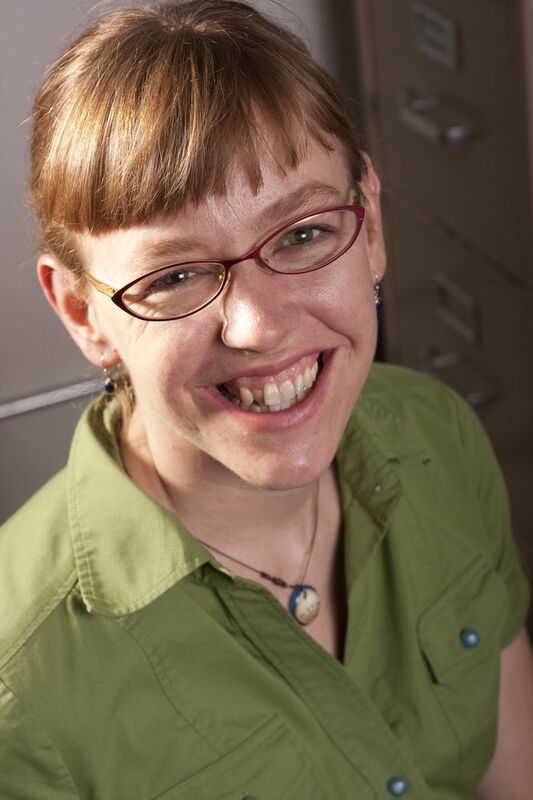 A graduate of the Iowa Playwrights Workshop, Smith has received commissions from Victory Gardens, The Goodman, Seattle Rep, Indiana Rep, The Acting Company, and Ohio University. He is an alumnus of New Dramatists and has taught playwriting at Northwestern University. 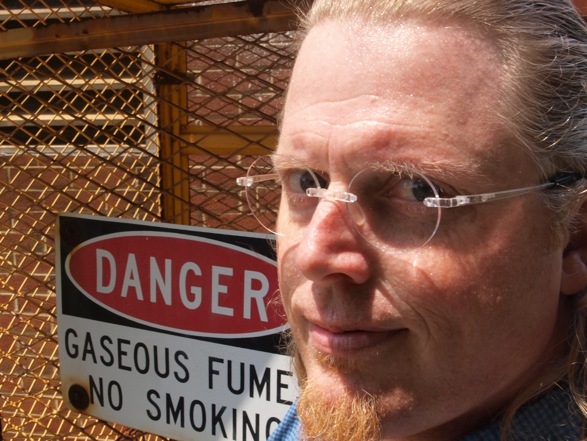 His plays can be obtained through Samuel French, Dramatic Publishing, Smith & Kraus, and Meriwether Publishing Ltd. For more information about the plays of Charles Smith, please visit http://www.csplays.com. 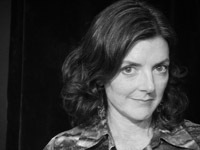 REBECCA VERNOOY, a member of the Performance Faculty at Ohio University, was a New York based choreographer, writer and actor for two decades. 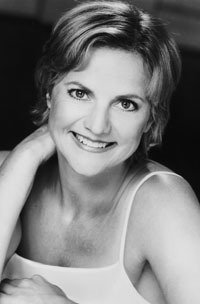 Her original work was produced under the auspices of VerNooy Dance Theatre, and was seen at Dance Theatre Workshop, Joyce Soho and Ensemble Studio Theatre, among many other Off Broadway venues. She has taught movement and acting at Rutgers University, Hampshire College, The School for Film and Television, New York Film Academy, Caymichael Patten Studio and Ensemble Studio Theatre. 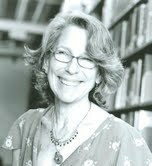 lorraine wochna works at Alden Library serving as liaison to School of Film, School of Theater, Department of English and African American Studies. She lived in NYC for 20 years where she co-produced a yearly play festival for women, performed Elvis and Eleanor a solo piece by Mark Dunn, worked with Ensemble Studio Theatre, Primary Stages and many other Off and Off-Off Broadway theatres. She has an MA in Theater, and is pursuing an MA in Film Studies both from Ohio University.